The buyout firm is investing in a leading Filipino payments startup, alongside Tencent. The main rival is backed by Alibaba. Chinese giants and SoftBank have been burning cash to win users in a regional war of attrition. KKR may get caught in the crossfire. 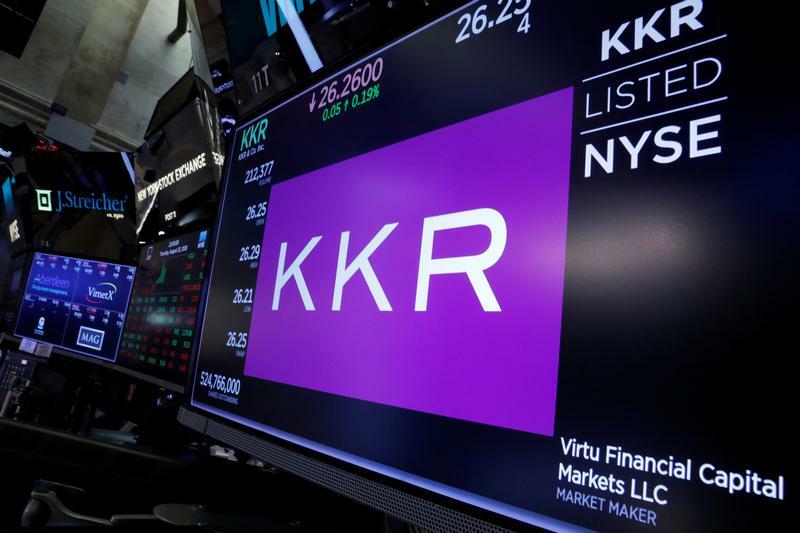 Trading information for KKR & Co is displayed on a screen on the floor of the New York Stock Exchange (NYSE) in New York, U.S., August 23, 2018. U.S. private equity firm KKR and Chinese internet giant Tencent have led a $175 million investment in Filipino payments startup Voyager Innovations, giving them an unspecified “substantial minority stake”, the companies said on Oct. 4. Philippines’ telecommunications and digital services provider PLDT will remain as the company’s majority shareholder. The deal also contains provisions for Voyager to issue additional shares to other investors in time, reducing PLDT’s ownership to less than 50 percent, though it would remain the largest shareholder. Voyager offers financial services including a prepaid wallet for consumers, and digital payments for companies. It also says it has the largest mobile-based remittance network in the Philippines.